Parking with Us Is Easy! At OhPark, making a reservation for your own Columbus Airport parking spot is easy! Simply tell us what day and time you’ll be arriving as well as what day and time you’ll be leaving. We’ll give you three different quotes (YouGo, VanGo, and CarGo) for you to choose from. After choosing one, you’ll be able to add on any additional services. Next, just enter your personal and payment information and click “Book Reservation.” We’ll reserve your spot for you! If you’re part of a company that does a lot of traveling, join our corporate parking program. You’ll not only have premier access to the lot, but you’ll also be guaranteed the lowest prices on our CMH Airport parking. Simply enroll your company today and start enjoying the advantages of our corporate parking program. 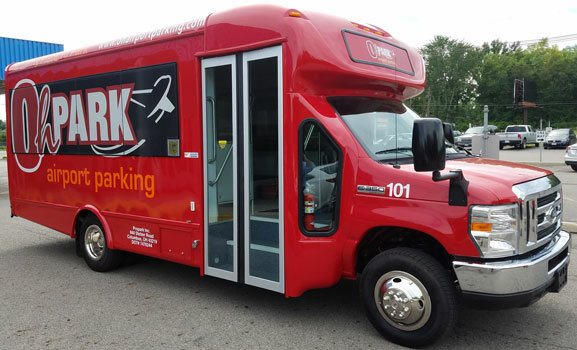 At OhPark, we want to offer travelers the best in CMH Airport parking, which is why offer special rewards to returning customers. Our OhWards Loyalty Program lets you earn points every time you park with us. Once you collect a certain amount of points, you can use them towards free Columbus Airport parking or a premium car wash. Earn one point for every day you park with OhPark and redeem them when you want! We know your schedule is busy, which is why our CMH Airport parking company offers a variety of additional features to make your life a little easier. With our care car services, you can schedule a car wash, detail, or oil change while you’re away. In addition, we offer EV charging stations. If you drive an electric vehicle that needs to be charged, we can charge it for you during your trip so it’s ready to go when you return. For more than just CMH Airport parking, make a reservation with OhPark. Our fast, friendly services are the perfect start to your business trip or vacation.